The Bergen County Historical Society will celebrate the ancient Algonquin festival of Winu Gischuch, marking the Corn Moon, from 4 to 8:30 PM on Sunday, August 15th. Come tour the Campbell-Christie House, Demarest House, Steuben House and Jersey Dutch Out-Kitchen! The Dark Moon of August, Winu Gischuch, was associated with ripened corn- ready to roast. At the Dark Moon, native farmers pulled cornstalks that produced no ears and sucked out the sweet sap or syrup. Fresh ears of corn “in the milk” were roasted. 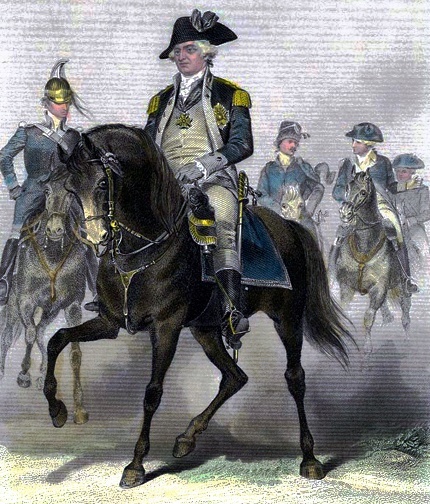 advance showing of “Lafayette: The Lost Hero,” at 4 PM in the Steuben House. “Lafayette: The Lost Hero,” is a new one-hour PBS biography of the great French officer who served the Revolutionary cause. HEAR YE! @ 6 pm: Historian and author Kevin Wright will speak on “The Circuit of Seasons” from his book 1609: A Country That Was Never Lost, describing the cyclical movements of Native communities from one food source to the next. At the tavern in the Campbell-Christie House they’ll serve pie and lemonade, and folks just as nice will demonstrate open hearth cooking in the Jersey Dutch Out-Kitchen. The giftshop will be open. Don’t miss this opportunity; it’s not often you can go inside these historic buildings, and see some of the outstanding artifact collections. Some of this weekend’s special displays have not been seen for decades. Cost? Nominal: by donation: $7 adult, $5 children. BCHS members: free. For more info about the event, visit Historic New Bridge Landing. 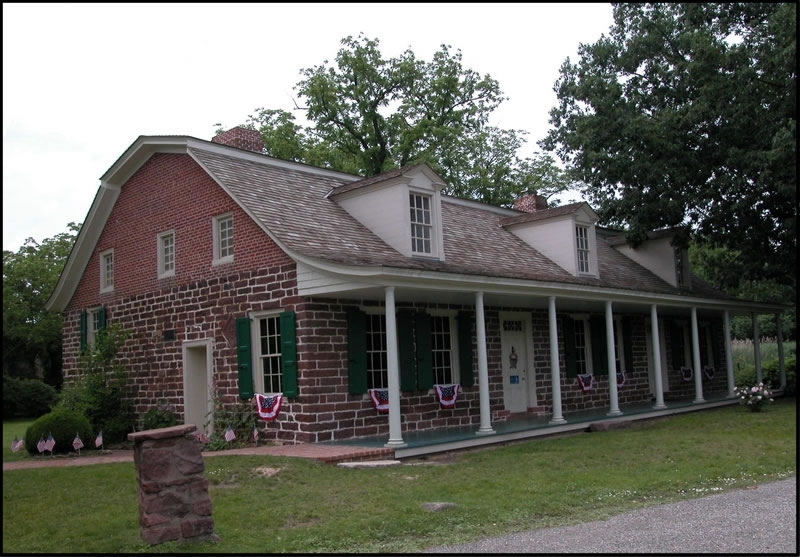 Built in 1752 by merchant Jan Zabriskie, the Steuben House witnessed the crossing of General George Washington and the American garrison of Fort Lee across the Hackensack River during their infamous November 20, 1776 retreat. Because of this strategic position on the banks of the river at the New Bridge, the Steuben House survived throughout the American Revolution and was used by both Colonial and British soldiers. The confiscated mansion once served as a military headquarters for General Washington and was later presented to Major General Baron von Steuben as thanks for his efforts during the War for Independence. For the first time in 15 years, the New Bridge Charleville Musket will be on view. The musket was pulled out of the Hackensack River in 1903 by a nine year old boy while fishing from the bridge. The Burdette Frying Pan said to be used by Rachael Burdette to serve George Washington Indian cakes in Nov 1776. General Greene used the Burdette’s home as his headquarters. It is on exhibit for the first time in a quarter of a century. The bottom of the pan was painted with a portrait of Washington. Stone tools, projectile points and pottery made by the Original Inhabitants of Bergen County. 18th century artifacts associated with the Revolutionary War in Bergen County and early artifacts associated with the Steuben House, including the original front door box lock. Photographs taken at New Bridge in the 1950s, including the opening of the 1956 new New Bridge Road Bridge. Say that 5 times fast! A Hackensack pie plate, imprinted with a likeness of Lafayette, made at Henry Van Saun’s River Edge pottery in 1825 to celebrate the French hero’s return visit to Bergen County as part of his national tour.